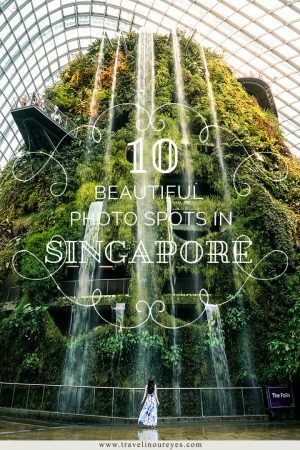 This was originally published on 25 September 2018 but we decided to update it with more stunning photo spots we found on our second trip to beautiful Singapore. The five new additions are right up at the top of the blog. 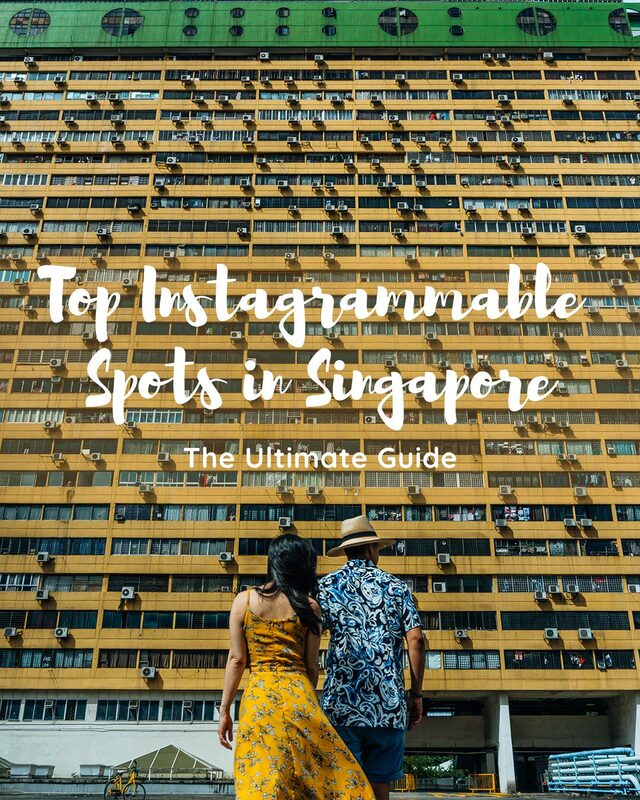 So here is the updated ultimate visitors guide to Top Instagrammable Places in Singapore (this time with a map!). And still all totally doable even if you’re in the city for a few days. Our Tip: The amazing thing about Singapore is that it has been the only place we have traveled to where we didn’t have to wake up at the crack of dawn to take shots. We actually went during different times throughout the day and didn’t come across heaps of people waiting or milling around. Fort Canning Park holds historical significance in Singapore’s history and has now become a popular venue for music festivals and concert events. 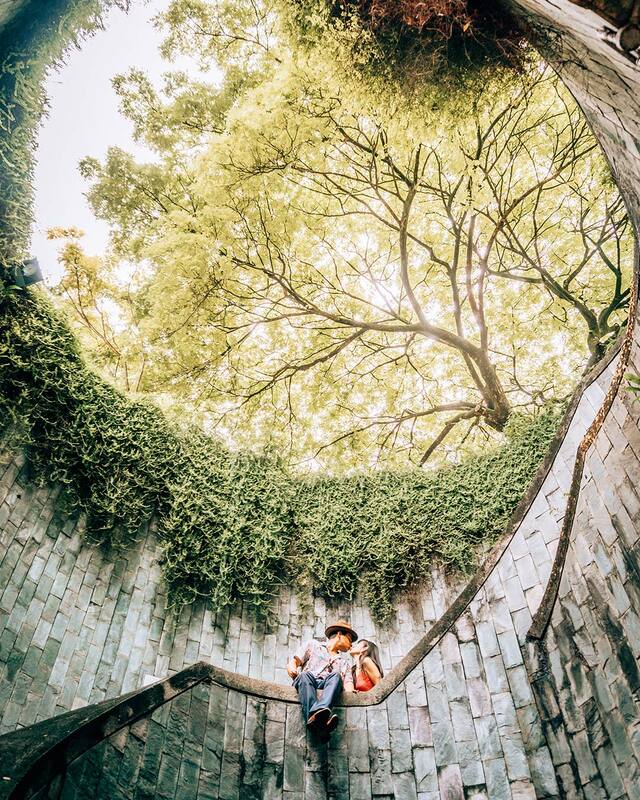 The park itself is beautiful and one of the best Instagram spots in Singapore has got to be the pedestrian underpass leading into Fort Canning Park! 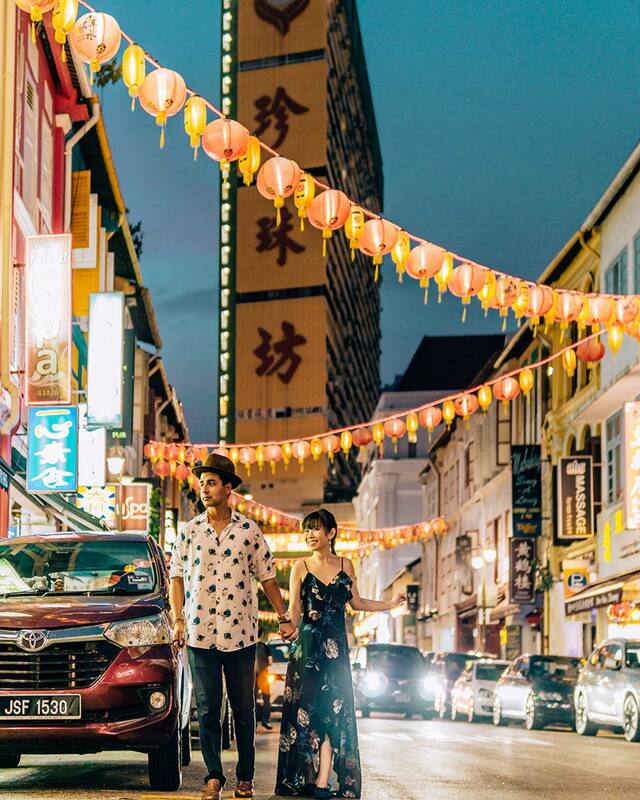 Haji Lane is a little street in the Kampong Glam area filled with Singapore’s local hipster art, design and street art scene. It’s also full of great restaurants, cafes and bars. It’s lively, fun and full of color. 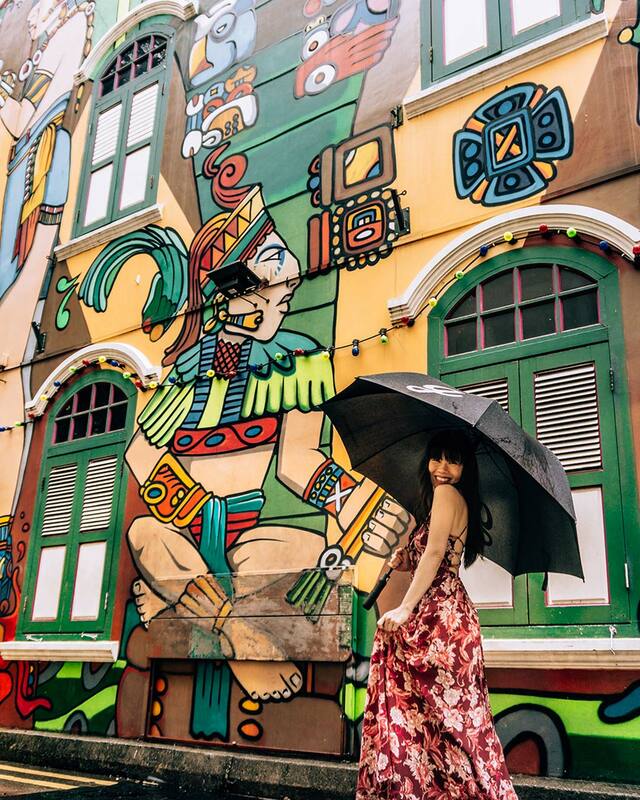 Every angle and shopfront make for a great photo backdrop which definitely makes it one of the most instagrammable places in Singapore! Almost every country has a buzzing, vibrant and instagrammable Chinatown. 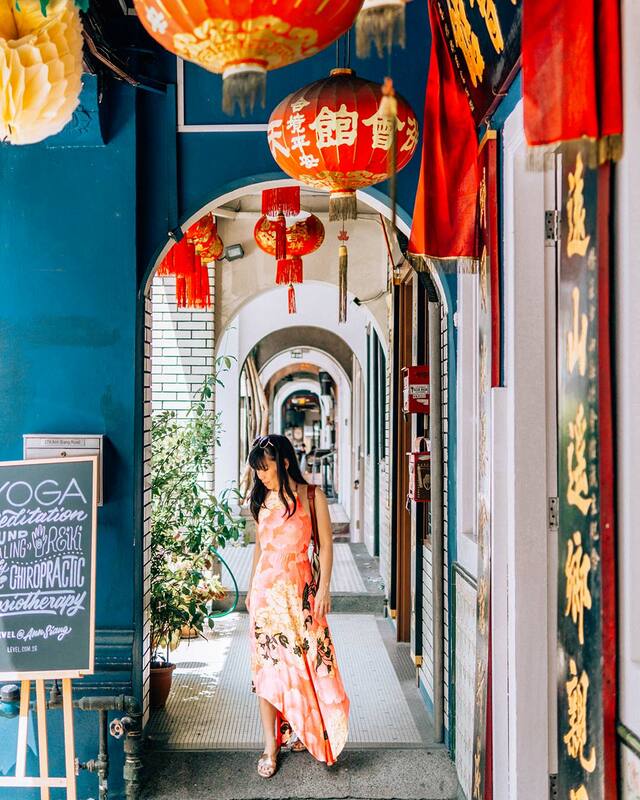 What’s different about Chinatown in Singapore is that it’s lined with beautifully restored shophouses showing the architectural past of the southern Chinese, European and Malay influences. With every angle picture perfect, you’ll have a difficult time choosing which spot to take. 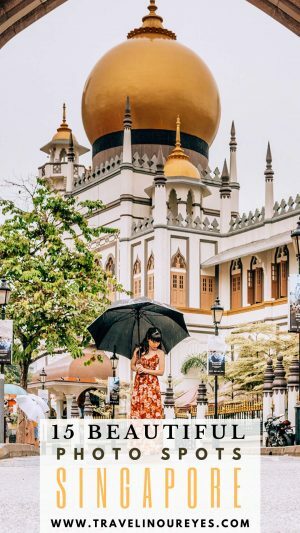 This beautiful mosque is one of the most prominent mosques in Singapore and is one of the prettiest landmarks in the city. The most is beautifully framed if you come in through the Muslim Hertiage Centre and sits at the end of the restored shophouses of Arab Street. Beautifully restored Peranakan shophouses all lined up with a mixture of textures, tiles and colors. We’re in love! 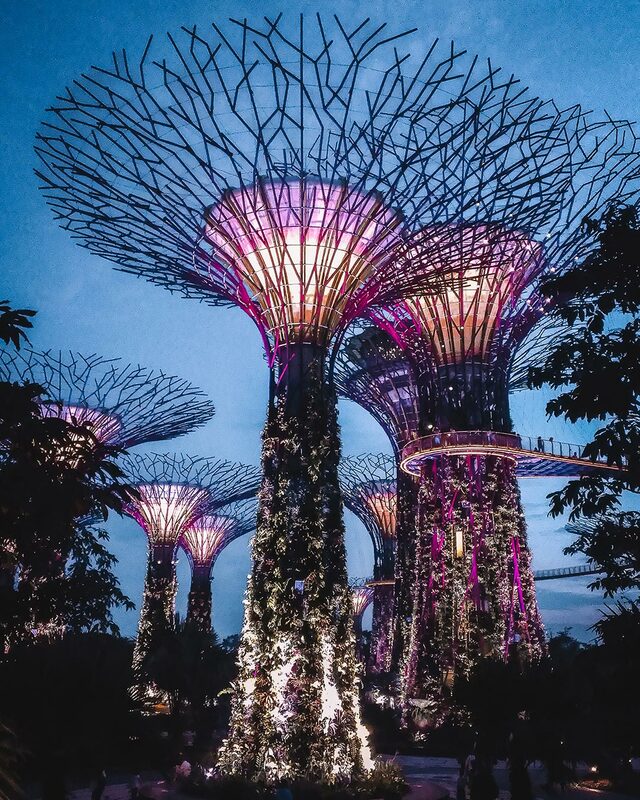 Possibly the top of the list for one of the top Instagrammable places in Singapore is the Supertree Grove at Gardens by the Bay! With a ton of different angles to capture, whether daytime or the stunning fairytale-like light show at night, you’re guaranteed to get a lot of shots to choose from by just going to this one place! And it’s FREE! or Check Here for our List of Other Cool Free Things to do in Singapore. 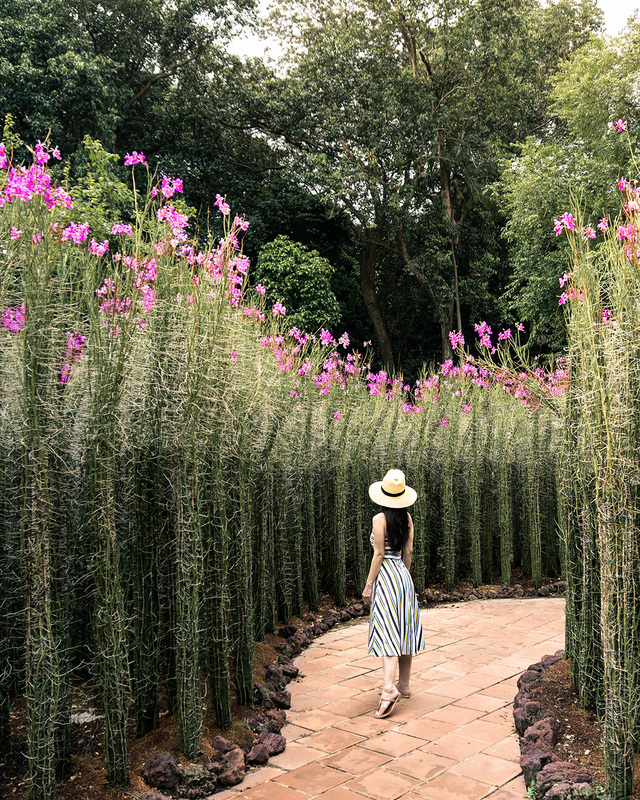 We were obsessed over the Botanic Gardens in Singapore! The landscaping is beautiful and it’s so big that you just about get the whole place to yourself. And of course, plenty of beautiful spots to get those perfect shots. And it’s pretty much free! The only part you have to pay an entrance fee of SDG5.00 is for the orchid garden. 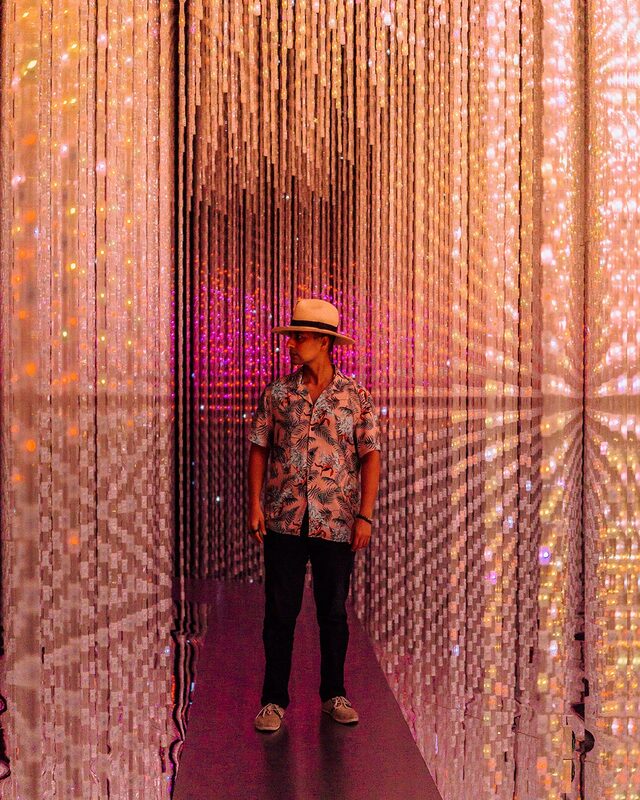 Even if you’re only there for a couple days, the ArtScience Museum is a must-see in Singapore. It’s captivating and kid friendly as well. 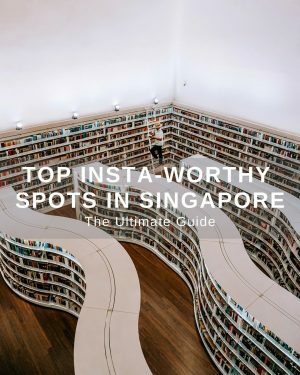 We were so blown away by it and is definitely a top instagrammable place in Singapore! For everything you need to know on the Future World Exhibition at the ArtScience Museum, check out our Future World + ArtScience Museum blog. Click Here for our Singapore Travel Guide for First-Timers – Things You Need to Know. 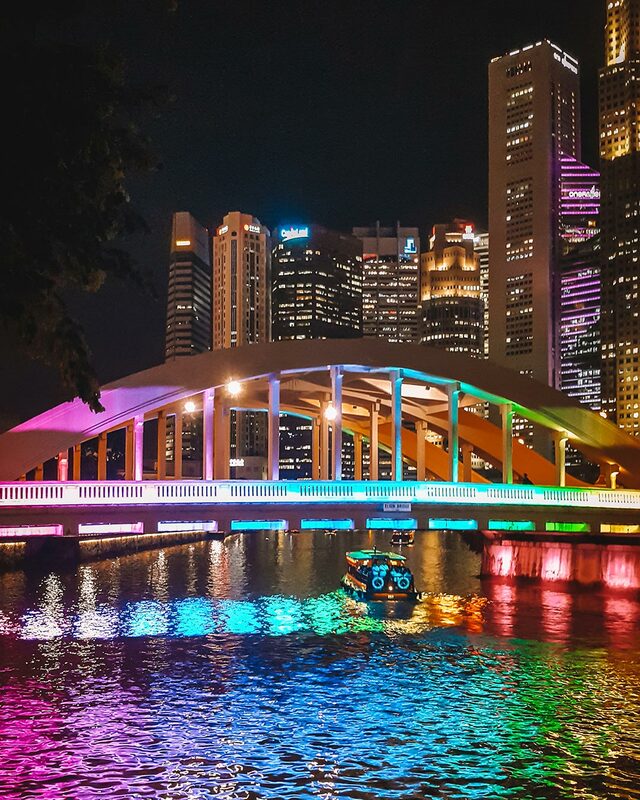 It seems Singapore has perfected the colorful rainbow buildings and places! Whether the rainbow-colored window shutters are opened or closed, you will still want to take a photo by the Old Hill Street Police Station! And it’s FREE! 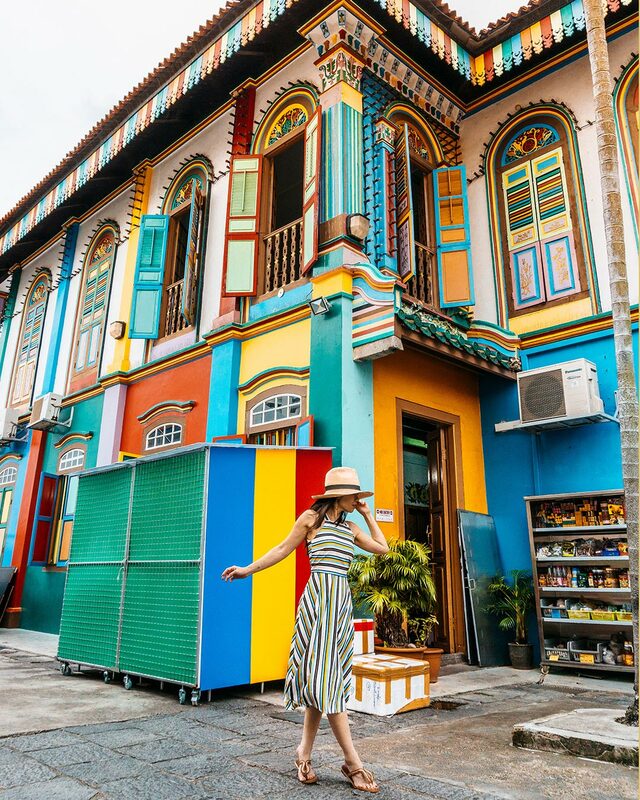 This little iconic colorful house in Little India, the Tan Teng Niah House, is really as pretty and bright as you see in the pictures! And it’s FREE! 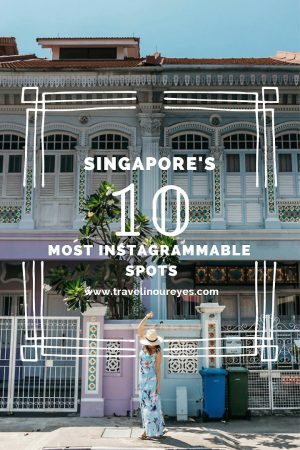 It’s no wonder that it’s one of the top instagrammable places in Singapore. Just a tip – there is an actual business running from this shophouse, so if you don’t want to get in the way or want a shot without all the going-ons of a business, then get here before 9:00am. 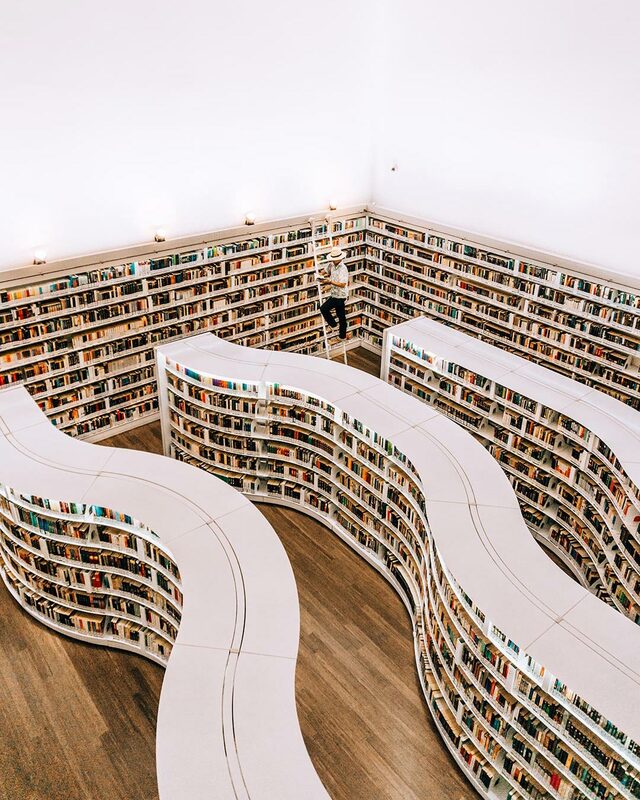 Right in the midst of super busy Orchard Road is one of the coolest libraries in Southeast Asia! And how can you not love it? It’s white, it’s modernly chic, it’s stacks and stacks of books, it’s massive, makes books cool again, and it’s FREE! Check out other Cool Free Things to do in Singapore here. These pretty pastel houses are all lined up and painted in different beautiful cupcake colors so you choose your pick. The icing on the cupcake? The ever courteous Singaporeans in their cars will even slow down or stop just before your frame so you can get this shot! Oh yes, and it’s FREE! 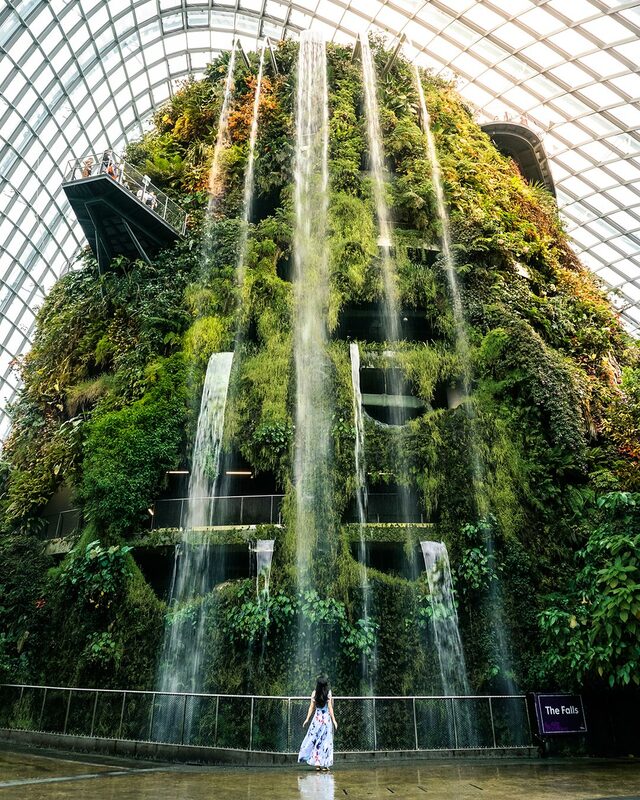 This amazing 35-meter high indoor waterfall though! It’s breathtaking. Even when you have an idea of how high it is and seen so many photos of it, it still a stunner when you first see it. 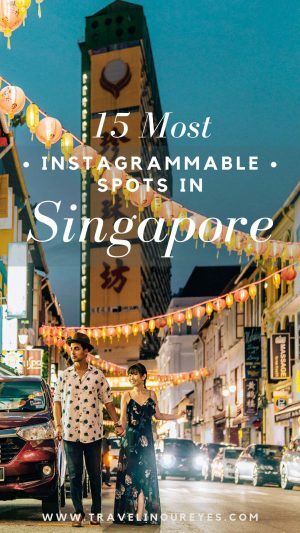 It really is one of the top Instagrammable spots in Singapore. There is an entrance fee of SDG16.00. This Rainbow only shows up at night! How magical! But it is a nice surprise as you’re heading out of Clarke Quay. And it’s FREE! Click Here for our List of Other Cool Free Things to do in Singapore. 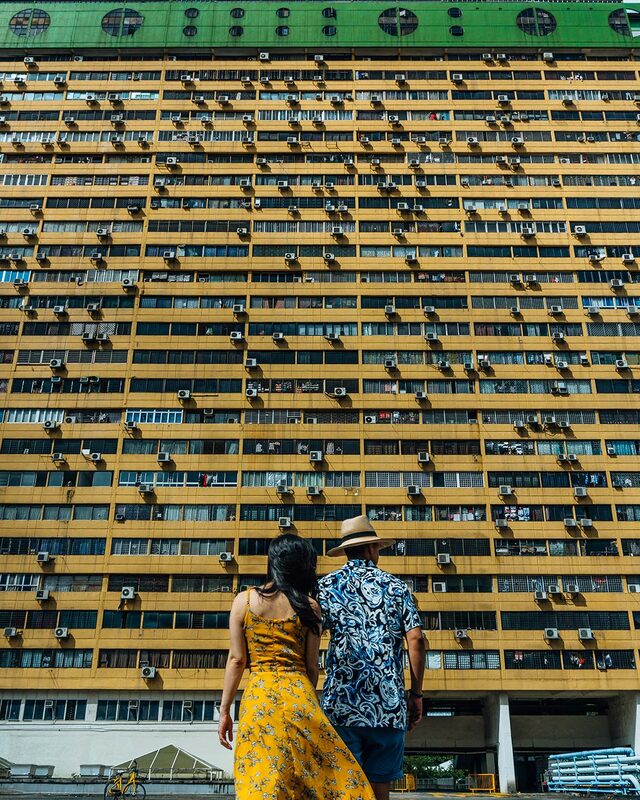 This yellow iconic building is People’s Park Complex in Chinatown. 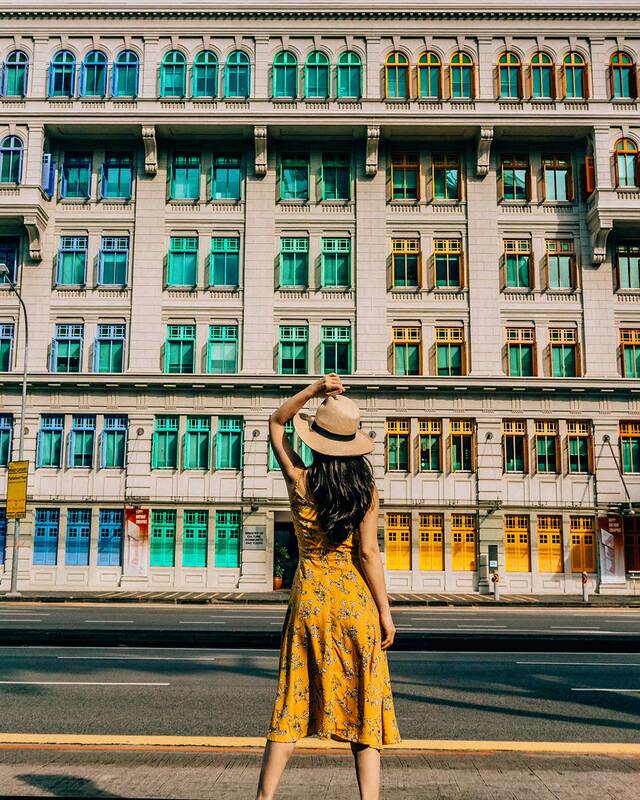 Still painted in the original mustard yellow and bright forest green, the building is completely reminiscent of the 1970s era it was built in and so fun for shots it made it on our list of top Instagrammable places in Singapore. Head up to the rooftop carpark at level six for this shot. And it’s FREE! 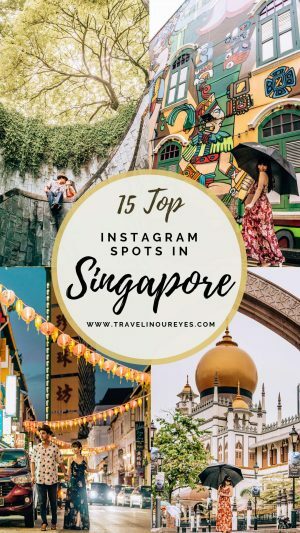 Have you been to Singapore before? 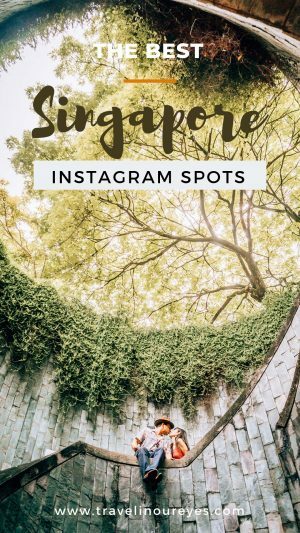 What are some of your favorite photo spots in beautiful Singapore? Drop us a note if you have any questions about how to get to any of the places, best times to go and the like. We’ll be happy to help! Luxury Boutique Hotel – AMOY HOTEL: Designed to give guests an experiential glimpse into Chinese history. The entrance of the hotel is the original Fuk Tak Chi temple build in the 1820’s. Rooms are designed to include heritage accents and no two rooms are alike in layout and furnishing. Perfect for those who appreciate design, architecture and Chinese history. Find the latest prices for Amoy Hotel here. 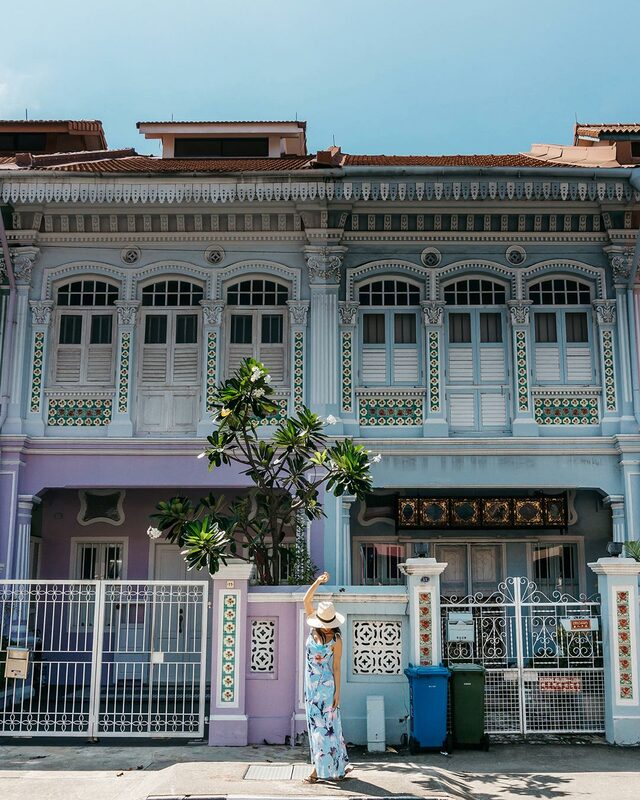 Luxury Boutique Hotel – ANN SIANG HOUSE: A beautifully restored heritage building that is nestled in the lively area of Ann Siang Road known for the rooftop bars, restaurants and beautiful Peranakan houses. Just a 5-minute walk from Chinatown, it’s perfect for those who love to be right in the center of a lively neighborhood, good food and buzzing nightlife. Find the latest prices for Ann Siang House here. For other places to stay in Singapore, click here for a list and the latest prices. I love Singapore! Especially the supertree grove. Your photos look really great, too! I haven’t been to the Library@Orchard, though. What time do they open? Thanks! We’re completely with you on the love for Singapore. The Supertree Grove & Gardens by the Bay is so amazing that it’s almost hard to believe that it’s pretty much all free! The Library@Orchard is very cool and opens at 11am-9pm daily. PS-Thank you so much for checking out our blog, we really appreciate it! Wow! So many fantastic places! 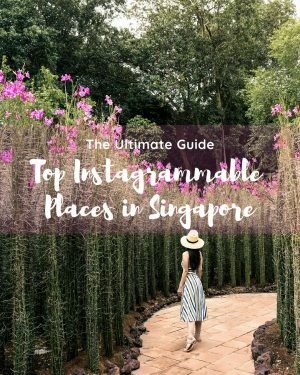 I can see why you love Singapore–so many great gardens, museums, libraries, and more! Thanks so much Brooke! Yes exactly! It’s such a modern city with so much attention put into aesthetics and making it as green as possible (and so clean!). Have you been?